If you need to reset you compute instance&apos;s root password, this guide will help you out. Resetting the root password will re-boot the server and the process takes about 1 - 3 minutes. 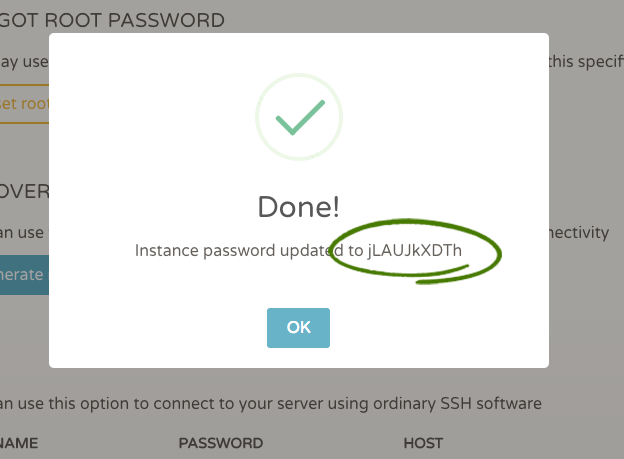 Resetting root passwords are supported only on some Linux distributions. On the left navigation bar, click the "Access" tab. Click the "Reset Root Password" button.